I often get teased by roommates about all of the documentaries (mostly historical) that live in our Netflix queue. What can I say? I’ve always loved myself a good documentary, especially those done by the great Ken Burns. 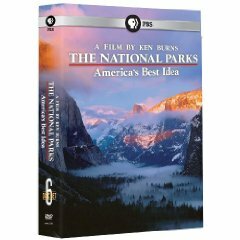 One of these documentary series that had been taking up space in the Netflix queue for quite some time, which I just recently got around to was, “The National Parks: America’s Best Idea”. Anyone who enjoys the wonders of the National Parks and doesn’t mind sitting down for a history lesson every once in a while, will eat this doc up. I highly recommend you check out this gorgeous, informational, and dare I say, exciting doc series! Also, I have to admit that I did cry while watching this series. You know you’re a nerd when…. What are some of your favorite documentary series? Any other Ken Burns lovers out there?